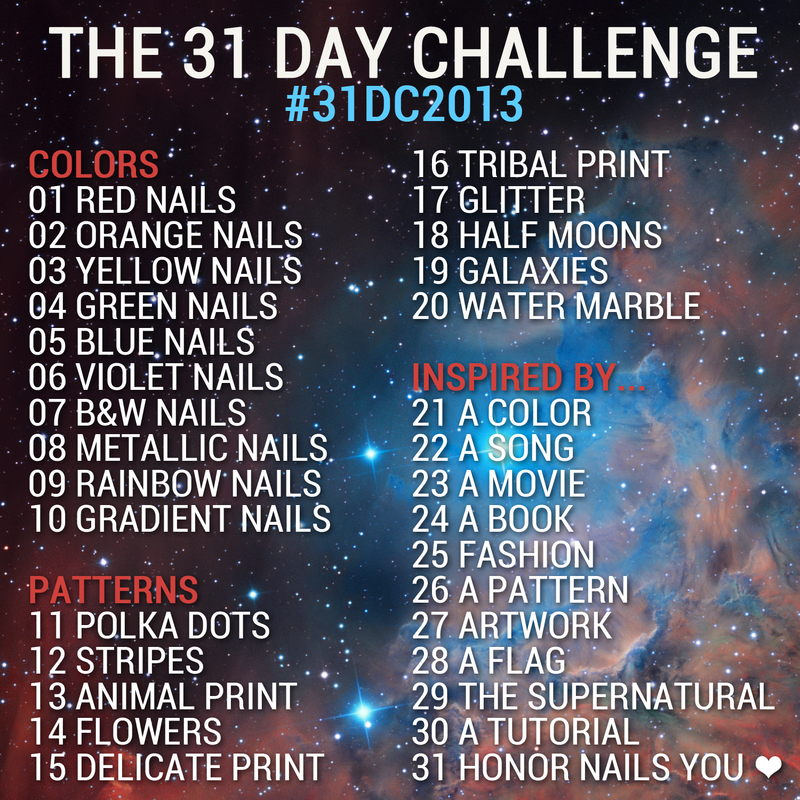 Very Denniee Nails :): 31 Day Challenge: Attempt 2! 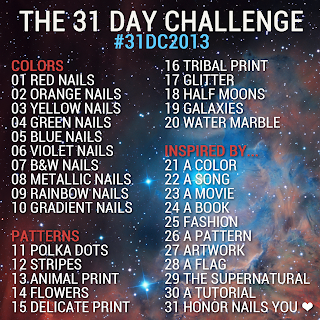 31 Day Challenge: Attempt 2! I saw this on Chalkboard Nails today and I really want to give this a try! It'd be a good way to get back into doing my nails and challenging myself (and getting back into blogging :D) So look forward to it! I know I am. Random Ramblings of a Chemist.